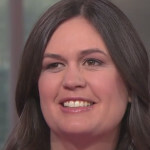 White House press secretary Sarah Huckabee Sanders was shocked by questions from the “Today” show’s Savanah Guthrie about whether President Trump owes an apology to special counsel Robert Mueller for publicly berating Mueller ever since he took over the Russia investigation. 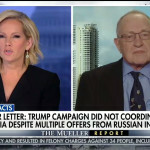 Trump fan and Harvard law professor Alan Dershowitz spewed some unexpected criticism of Robert Mueller’s report on Sunday evening, suggesting he made a “cop-out” decision by allowing Attorney General Bill Barr and Deputy Attorney General Rod Rosenstein to determine whether Trump obstructed justice. 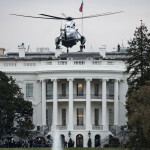 The mood in the White House was especially light over the weekend as a “feeling of euphoria” rushed over the West Wing and led White House staff to celebrate the end of special counsel Robert Mueller’s probe, according to the Washington Post. 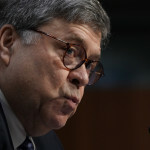 In a letter to congressional leaders on Friday, Attorney General William Barr said he will likely be in a position to share information about special counsel Robert Mueller’s probe as soon as this weekend. 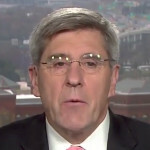 As news trickled out of President Trump intention to nominate “Trumponomics” author, Heritage Foundation fellow and CNN contributor Stephen Moore to the Federal Reserve board, economists and economic journalists alike responded with bewilderment. 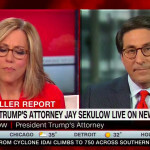 As tensions between Fox News and President Trump rise, another of the network’s biggest personalities is firing shots at President Trump over his attacks on the late-Sen. John McCain (R-AZ), who died from brain cancer just seven months ago.